Several years ago I had a life changing experience. I went to a church with a friend, her parent was the Pastor, as the Pastor spoke, the words hit my belly. I felt like I was injected with instant freedom. It felt as if though someone had literally given me medicine...a wave of release came over me. That day continues to stand out in my mind as one of the most significant days in my life, because I'd never felt anything like that...ever. I knew that, this church was where I needed to be if I wanted to experience God on a deeper level. I continued to attend and be an active part of the church, and the ministry started a serious growing process for 5 years. We met regularly, hosted conferences, participated in outreach, and souls were saved. However, when tragedy struck unexpectedly, along with the majority of the economy the church lost everything... and gave the remaining resources (All of the furniture, appliances, etc.) to another church that could use them. The Pastor who was the ministry's sole means of support at the time lost her income, she lost her home, and after surviving a deadly car crash, she became sick to the point where she almost lost her life. Until just three months ago she was homeless for over a year. 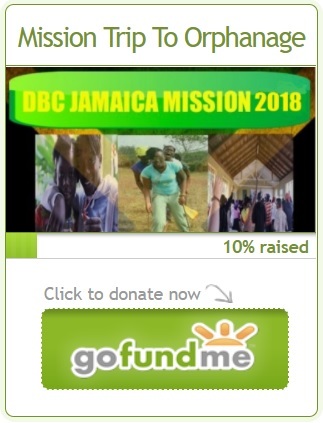 The church is currently holding an active fundraiser online at Gofundme.com/topministries to help raise funds for the meeting place, and to help jump start the restoration process. If you can help this ministry through giving, it will be going toward a good cause. Many more lives will be saved, and transformed through life changing empowerment services and the gospel of Jesus Christ. We had a successful recovery service on Sunday March 1st, but all are welcome to come out and be empowered each and every Sunday. You're officially invited to come experience the TOP!! TOP Ministries continues to operate in God's grace so that anyone who is suffering can have a life changing experience for the better. Please support. Ways to help: You can Share this news with someone, Donate, Partner with us, and also Pray. You can learn more about this project in the video below and visit Gofundme.com/topministries to donate. If you would like more details about how to get involved and support, email topministries.info@gmail.com or contact the church Facebook page at Tabernacle Of Peace Ministries International. Thanks for your support! !